Hi! I’m Megan, Concierge Travel Planner and Managing Agent with Living with the Magic Vacations . From the age of 2 most of my family vacations were to Disney World, which is where my love for everything Disney began. I currently live in Loudoun County, VA with my husband, our son and daughter. After meeting my husband I introduced him to the world of Disney vacations, and not surprisingly he fell in love with it just as much as I did. In 2012 we were married and honeymooned in Disney World and now love sharing our love of Disney and Disney vacations with our kids! 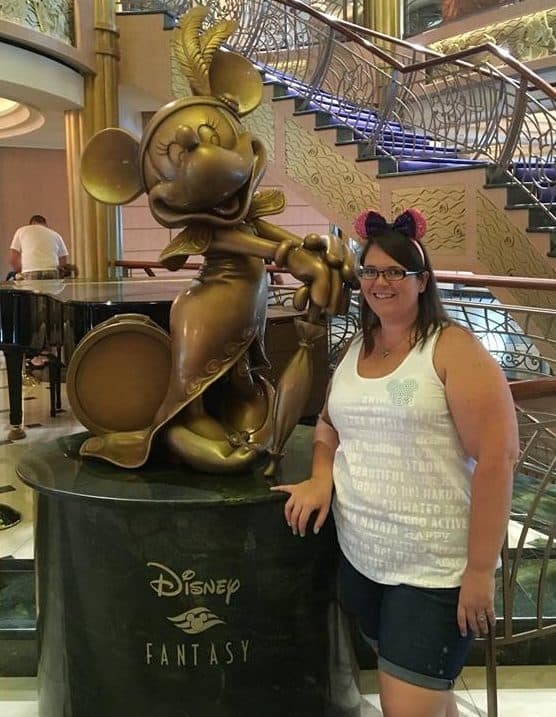 While I have traveled to Disney over 15 times and have helped countless clients plan their Disney vacations, I also have professional experience as an Executive Assistant, responsible for booking travel and planning itineraries for high level executives. I have a keen eye for paying attention to all of the small details on a travel itinerary. I know how important it is to make your Disney vacation the most magical vacation of your life! My clients’ happiness is my top priority and I love being able to provide each and every one of them with personalized service. I make sure I am always up to date on the newest updates at all Disney Destinations and travel multiple times a year to experience all of the newest experiences firsthand! I’ve experienced staying at least one hotel in each of the Disney resort categories and have Cruised with Disney Cruise line on a number of itineraries; so whether you are looking to travel to a Disney destination on a budget or stay concierge level, I can help you book your vacation and make the planning process as stress free as possible! Walt Disney World, Disneyland, Disney Cruise Line, Aulani, Adventures by Disney, Disney Fairytale Weddings and Honeymoons, Traveling with Young Children. All-Inclusive Caribbean destinations including Beaches and Sandals, Norwegian Cruise Line, Royal Caribbean Cruise Line, Carnival Cruise Line, Universal Resort Specialist, Large Group Vacations and Multi-Generational trips.